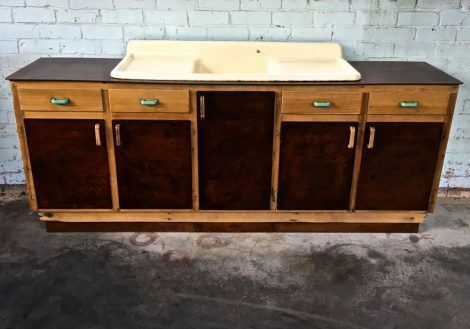 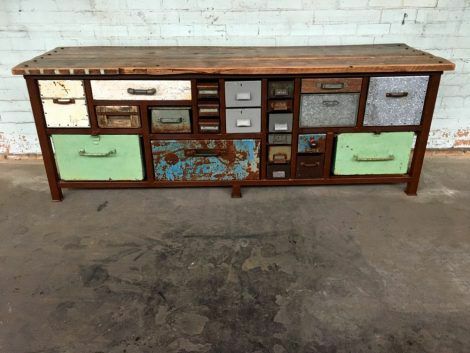 Vintage hardwood sideboard restored and converted in to a kitchen sink cabinet with original bakelite drawer handles. 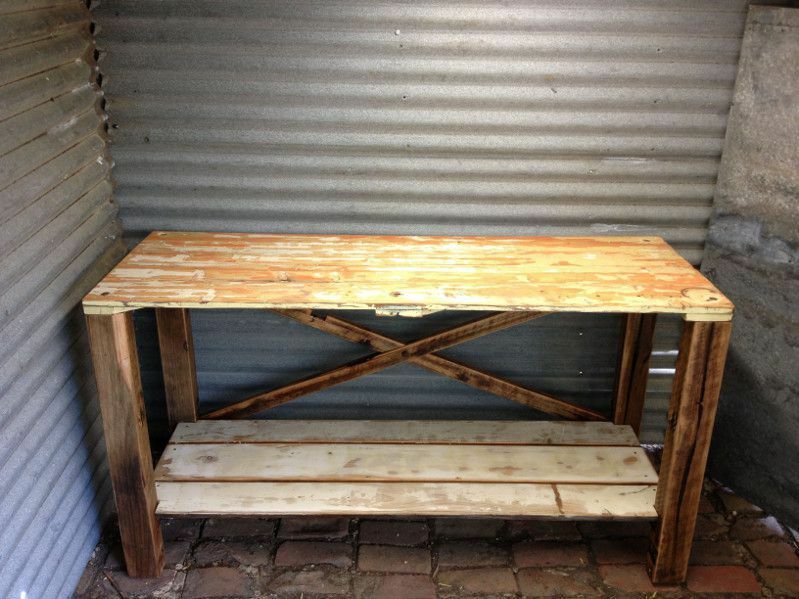 Rusted steel top and cupboard doors, coated and sealed. Vintage cast iron butter yellow sink. Rustic reclaimed timber island-bench, sideboard with reclaimed hardwood legs. 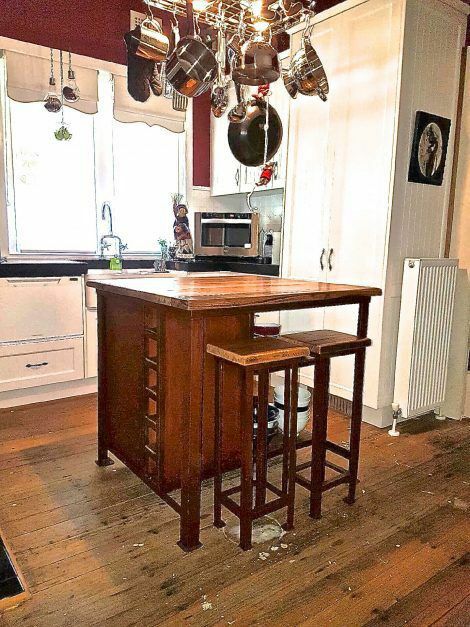 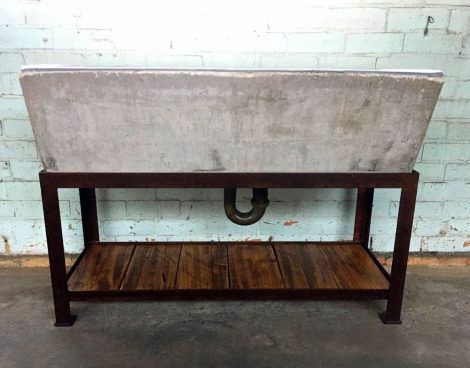 Rustic kitchen bench top crafted using reclaimed iron from a water tank. 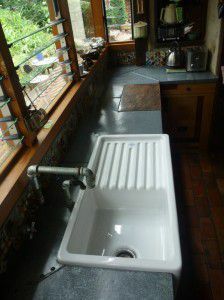 Taps have also been handcrafted to suit.